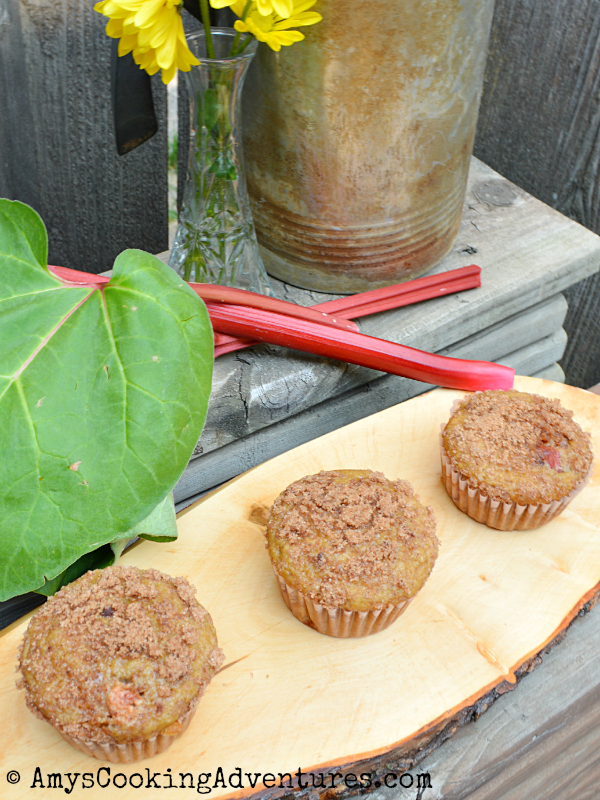 Of all of the plants in my garden, the rhubarb is doing the best, by far! I’ve harvested it a number of times already and shared my bounty with friends and relatives. 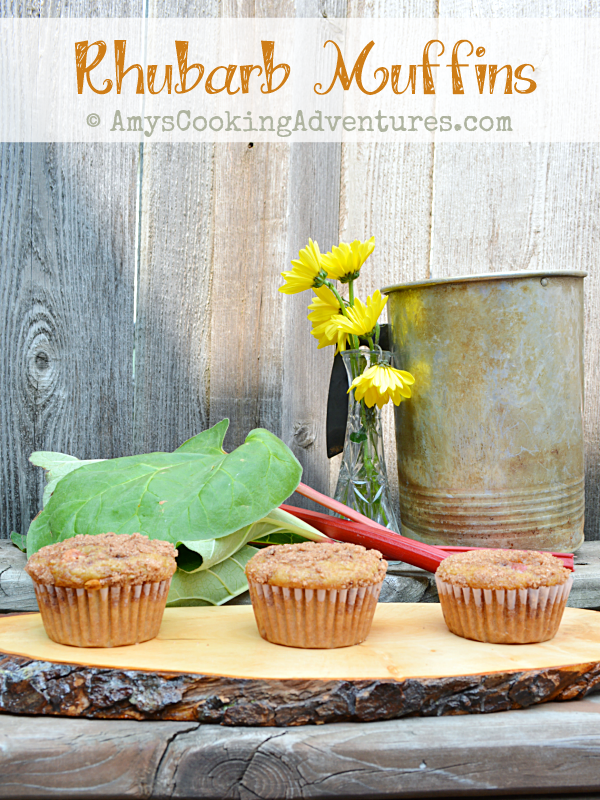 My favorite dish to make is Strawberry Rhubarb Pie (or last year’s Rhubarb BBQ Sauce), but if I really want a treat, I make rhubarb muffins! Can I tell you a secret? These muffins are the exact kind of muffins I’m always calling out every other time I make a muffin. You know, that ones that have so much sugar that they’re practically cupcakes? Boom. Like I said, they’re a treat! Luckily, right around the time I started craving these delicious cupcakes ahem, muffins, Hubs took his team (and most of the muffins) on a competition, leaving me with just a few! …and I ate those few as dessert! In a medium sized bowl, whisk together the brown sugar, egg, oil, buttermilk, and vanilla. Mix the wet ingredients into the dry and stir until combined. Stir in the rhubarb. Evenly divide the batter into 20 muffin cups. In a separate bowl, combine the white sugar, cinnamon, and melted butter and stir until crumbly. Sprinkle a little topping onto each muffin, pressing down slightly to set. Bake the muffins in the preheated oven for 20-25 minutes or until a toothpick inserted into the center comes out clean. Move to wire racks to cool. I don't think I've ever eaten any rhubarb. This recipe sounds terrific. I'm always on the lookout for another muffin recipe.